Things to know about Pondicherry Attractions. 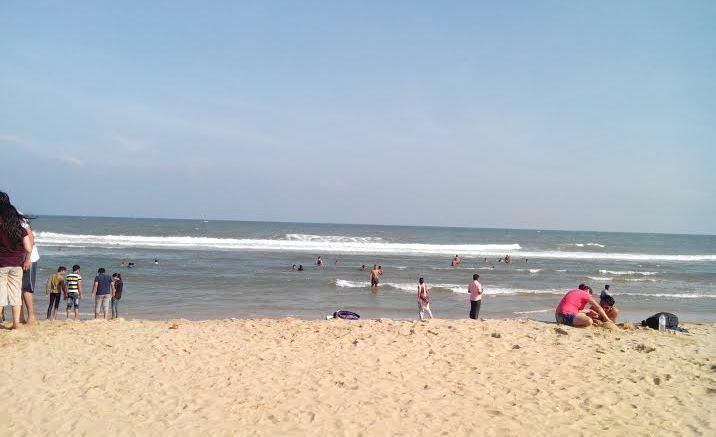 Pondicherry (Pudusserry) is a Union Territory of India in South India, lying 162 kms south of Chennai covering an area of 494 square kms, on the Bay of Bengal. Pondicherry was a French town from 1674 to 1954 when it became part of India.It was ruled by French rulers for many years and Pondicherry was their capital. This tiny little Union Territory consists of four coastal districts; Puducherry, Karaikal, Yanam and Mahe, and named for the largest, Puducherry. The French influence in Puducherry makes it unique from the rest of the country. Tamil and French are the common languages which are spoken in Pondicherry. Festivals are celebrated together by all religions regardless of their caste and creed, and thereby spread a festive mood all around, making it a great religious harmony. Pondicherry has rich architectural and cultural wealth.The architectural monuments of Pondicherry such as The Statue of Dupleix, Place Du Government, French WarMemorial, Park Monument are places of historical importance, left by the French rulers. These are great attractions of Pondicherry. 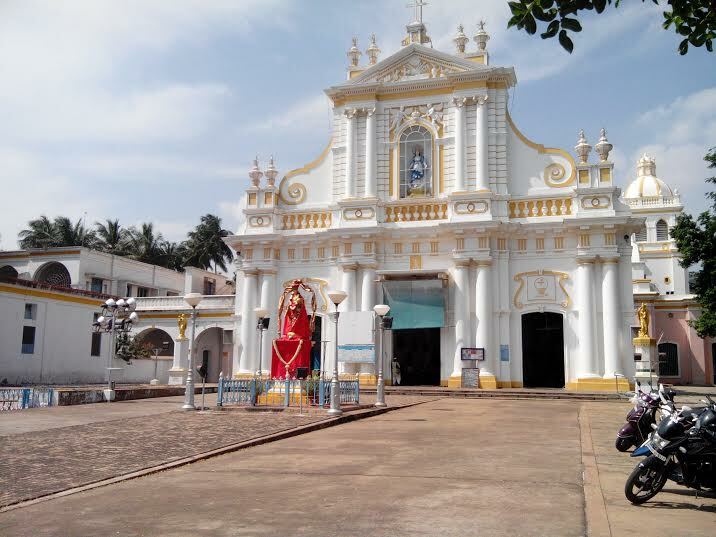 The other old architectures are Sri Gokilambal Thrukameswara Temple, The Church of the Sacred Heart of Jesus, the Eglise de Notre Dame des Anges, and the Eglise de Notre Dame de Lourdes built in Gothic style and decorated with aesthetic paintings. Other main Pondicherry attractions are Sri Aurobindo Asharam along the Beach, founded in 1920, the landmark of Pondicherry, is a spiritual premise and is a great place to visit. Sri Aurobindo and the Mother, who was a French lady, lived for the most parts of their lives, in this Ashram. The Ashram houses the samadhi of Sri Aurobindo and the Mother. Pondicherry was traditionally a seat of learning and Vedic culture. Across the road is the Aurobindo International Centre, a school for children. 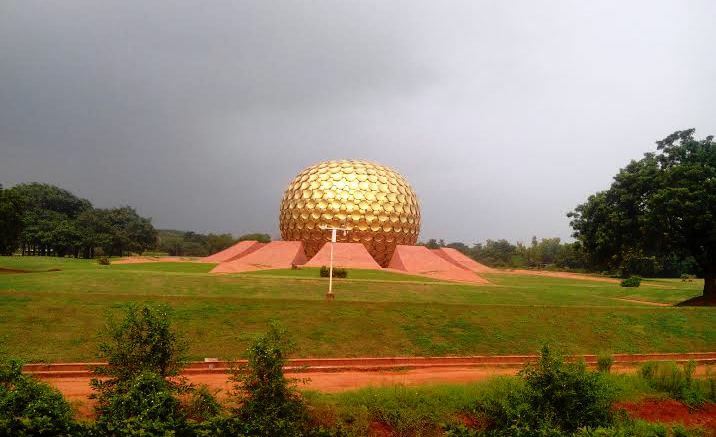 Auroville, the new city designed by French Architect Roger Arger is located 10 kms bordering Tamil Nadu.It is intended to be a future oriented International City where all nationalities would live together in harmony. The sphere shaped Matri Mandir a hall of meditation is the splendid centre of Auroville. Auroville Beach - It is one of the popular beaches of Pondicherry, located about 9 1/2 kms from From the Bus Stand, near Auroville City. It is also known as Rock beach. Please check out this video. Promenade Beach, situated nearby is very pleasant and the most delightful part of the city. In the beachfront located lare the statue of Mahatma Gandhi surrounded by eight exquisitely carved monolithic pillars facing the sprawling Gandhi Maidan, where the statue of Jawaharlal Nehru also stands. Paradise Beach - Another popular beach located 8 kms away from town in Chinnayanpeth Main Road, is very clean and maintained by the boat house privately. Raj Nivas is a grand French palace which was once the residence of Dupleix, a great builder of Pondicherry. Today this beautiful structure is the official residence of the Lieutenant Governor of Pondicherry. Bharti and Bharthidasan Memorial Museum, located at Eswaran Koil Street, is a great tourist attraction. The Botanical Garden preserves a good collection of rare and exotic plants from India and abroad and an aquarium of rare species of ornamental fish. Vinayagar Manakula Temple on rue de Orleans is a unique one, famous for divine blessings for new undertakings. Jawahar Toy Museum, near the old Lighthouse, is a fabulous museum exhibiting custume dolls from different States. By Rail : Pondicherry is well connected by rail to South India. By Road: Pondicherry is well connected by road. Taxis and Autorikshaws are available for local sight seeing. Check out Pondichrry Govt Tourism site to get more details.